Acme Studios’ Card Case collection was also conceived with stringent design and manufacturing standards – each case is made with a mirrored, chromed metal finished both inside and out, and a standout image has been applied to the lid. Ideal for presenting business cards in style, this particular Card Case features illustrations of some of the most popular chairs produced by Ray and Charles Eames, while the reverse side is stamped with Acme’s logo. 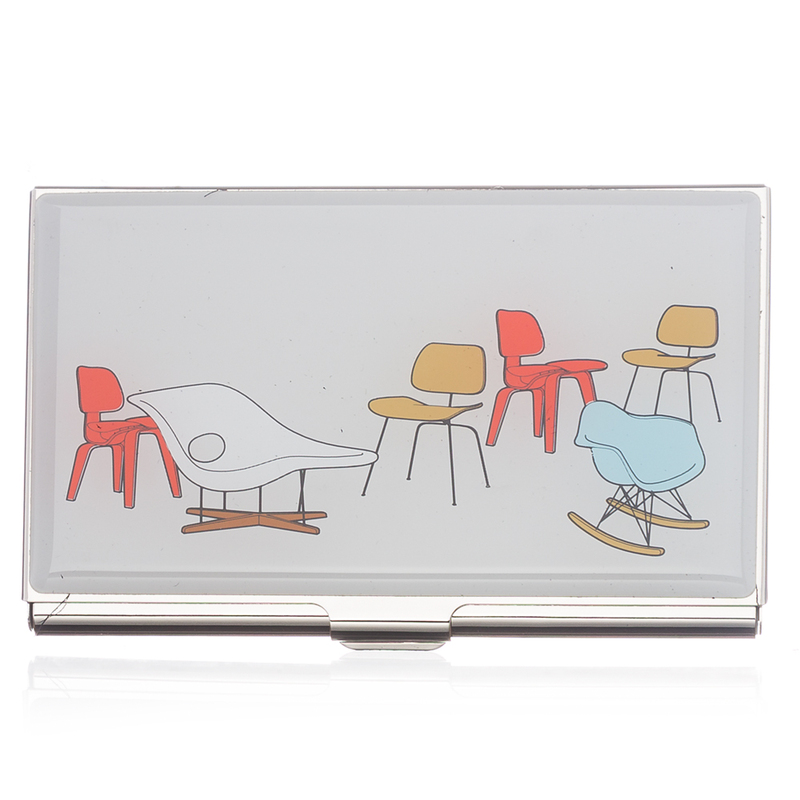 Based on design works by Ray and Charles Eames. Unique image set on lid. Acme Studios logo on reverse. Dimensions: 9cm (l) x 6cm (w).